A dog walker called police after discovering what they thought was an ear in a park in Nuneaton, Warwickshire. They found what they first thought to be a human ear. 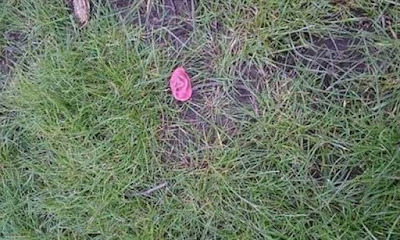 But, on arrival, police found that the ear did not belong to a person. A spokesperson for Warwickshire Police explained: "Police were called to reports of a human ear being found in parkland near Frensham Drive, Nuneaton. "The call was made with good intentions but thankfully the ear turned out to be a prosthetic and this incident is now closed." "In other news, actress Laura Dern was found screaming nearby."